In that spirit, here’s a rundown of what’s out there in the greenhouse, germinating and growing. 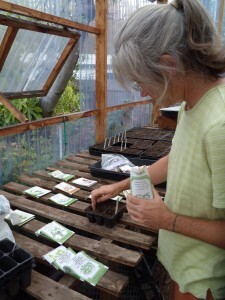 As an aside, I used to have a system: I’d plant seeds in jumbo six-packs, water once, place in a small cold frame (pre-greenhouse), then wait for germination before watering again. That served me well when I used Fox Farms’ Potting Soil, by far the best potting soil I have ever used for starting veggies and flowers. A little over a year ago, however, my local source stopped carrying it because they ‘liked’ the salesperson of the new soil they’re now supplying. This soil is inferior. Germination was a little inconsistent, and it did not work at all for the lettuce and spinach seed, which I had to re-sow using Fox Farms. Now, 11 days later, the lettuce and spinach are germinating. In the greenhouse, we’ve also started covering our cell packs with a plastic sheet until germination. This helps conserve warmth, and seems to speed along germination. Beets: Sarah is a big fan of beets. I like to grow them, but I’m not able to keep up with the harvest. For reds, good ol’ ‘Early Wonder’ is a long-time favorite, and at least around here, tends to bolt less quickly than some of the other reds, such as ‘Detroit Red’ and ‘Dutch Baby’. For yellows, the basic ‘Golden’ beet has served me well, and of course, there’s ‘Chiogga.’ It’s not an especially creative selection of beets, but all perform very well for us. Broccoli: I wish I had made a list of all the broccoli varieties that I have tried over the years, because there have been many. 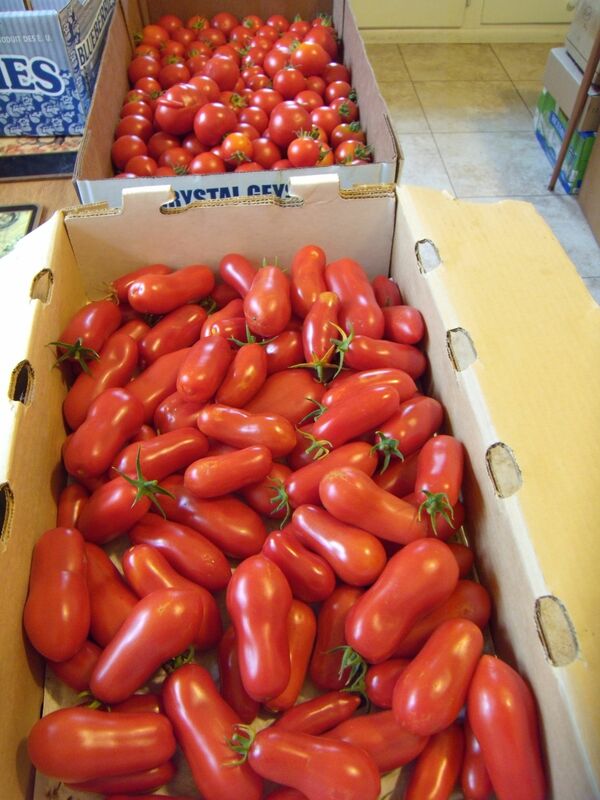 I like that many of the newer varieties are selected for side-shoot production, and ‘Sorrento’ is one of these. It makes a medium-sized head and tends toward good-sized side-shoots, even before the main head has been removed. The heads of ‘Umpqua’ get quite large, but they can get ‘chalky’ if left too long. If our broccoli heads get too big, we let them go to flower for the bees. Bees love broccoli flowers, less so cauliflower. Cabbage: We tried a variety called ‘Parel’ last year and were really happy with it. Not only is it small (about 6–7″), and thus manageable, it’s incredibly tender and sweet. 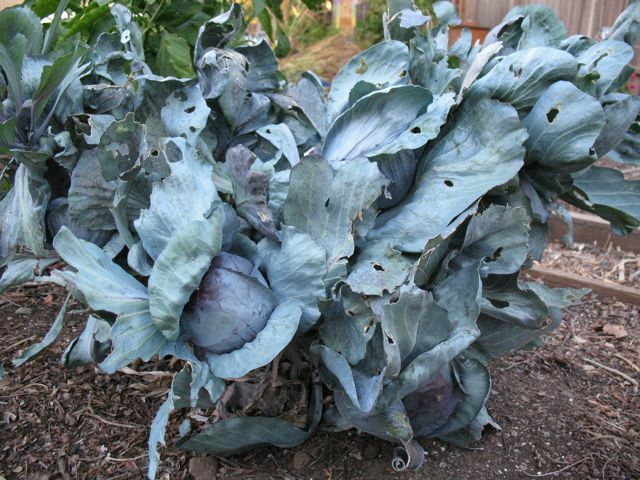 I have had success harvesting red cabbage plants in late spring/early summer, leaving the stalk, and getting a second crop of several smaller cabbages late in summer or early fall. I did this last year with ‘Ruby Ball,’ another smallish variety. I’m going to try that method with ‘Parel’ this year. It’s a great way to jumpstart the fall and winter garden, and this pleases me. Small heads of ‘Ruby Ball’ cabbage developed through the summer and are almost ready to harvest. Carrots: I have had the best results from ‘Nantes’ and ‘Nantaise,’ which seem less finicky than other varieties if the soil isn’t perfectly friable. Yes, you’ll get some misshapen ones, but overall, these two varieties produce a dependable carrot that has excellent texture and flavor at any age. We also found ‘Nantes’ to have good keeping quality right in the soil. Cauliflower: I’ve landed on ‘Snow Crown’ as my go-to cauliflower. It produces massive heads, if you let it, which stay tender and tasty. But this variety can be a little unforgiving if you don’t get starts into the ground when they’re ready. We have a favorite cauliflower recipe, courtesy of Madhur Jaffrey’s Indian Cooking (1982). It’s simple, quick and amazingly delicious. In fact, that may be all we use our cauliflower for. I make this in my big sauce pot, because I often double the recipe. It goes quickly. Soak flowerets in water for at least 30 minutes. Drain just before cooking. Heat the oil in a large pan over medium; when hot, add the fennel and mustard seeds. When they start to pop, add the garlic and fry until the garlic is lightly browned. Add turneric and cayenne. Stir once, then add cauliflower, salt and 4 Tbs of water. Stir and cook on medium heat until the cauliflower is just done. It should retain its crispness and there should be no liquid left. Add more water if it evaporates before the cauliflower is cooked. Devour. Chard: I always grow a chard plant or two, for those times I’m sick of kale and/or the spinach needs a break from harvesting. ‘Bright Lights’ seems to be popular, and I do like it. It’s milder than the straight red-ribbed varieties, and it adds a splash of color to the garden and plate. I really like ‘Fordhook Giant,’ which is a straight green-leafed variety. Its flavor is succulent, and a little more spinach-like. We were also able to get the chard to grow through our cool summer this year. We didn’t eat it as often as we fed it to the girls, but I was glad to have fresh greens for them. Fava Beans: I like to grow favas every winter for soil-building, eating and bee forage. I’ve always grown ‘Broad Windsor’ because I didn’t know any better. Last year, however, my acupuncturist alerted me to the myriad varieties out there, and gave me a few pounds of ‘Superaguadulce morocco,’ which I plan to try this year. I’ll keep you posted. Garlic: Sarah is a master ‘Elephant’ garlic grower, and it is very satisfying to harvest baseball to softball-sized bulbs of garlic. For others, we gravitate to the hardnecks. I’ve grown ‘Spanish Roja’ about three years in a row in clients’ gardens, and that always performs well, even when you worry that it won’t. ‘German Red’ is fun for its uniform clove size and overall appearance. One of last year’s better performers was ‘Susanville,’ a softneck variety, which yielded nice-sized bulbs and has a milder flavor for fresh eating. We also really like ‘Duganski’. There’s a whole universe of garlic varieties out there; last year we tried about eight, but the above were the best performers. 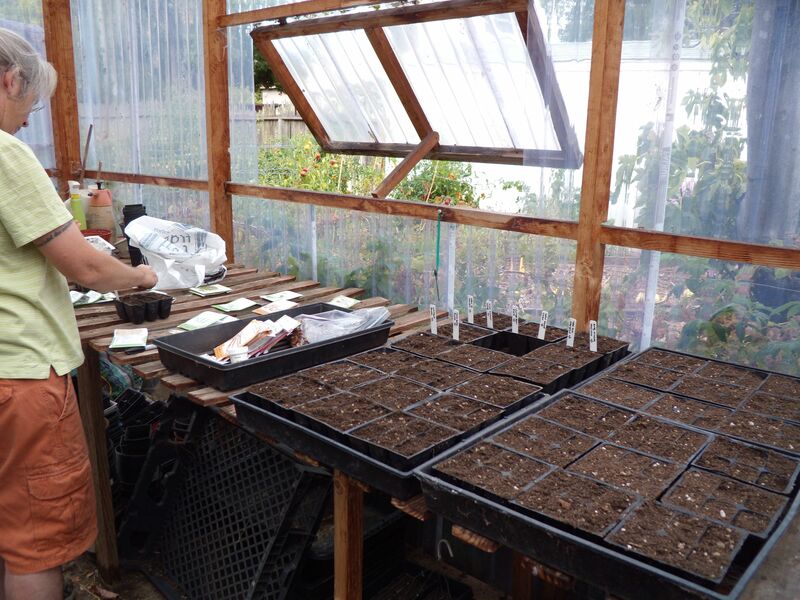 I also experimented last fall with planting small cloves to see how they would perform; most of the literature says to only plant the largest cloves. I’m glad I did, because for whatever reason(s), many of these small cloves did just as well as the larger ‘prime’ cloves. If you’re concerned about garlic white rot, check out this link. Kale: I like a variety of kales and have settled on a few favorites. 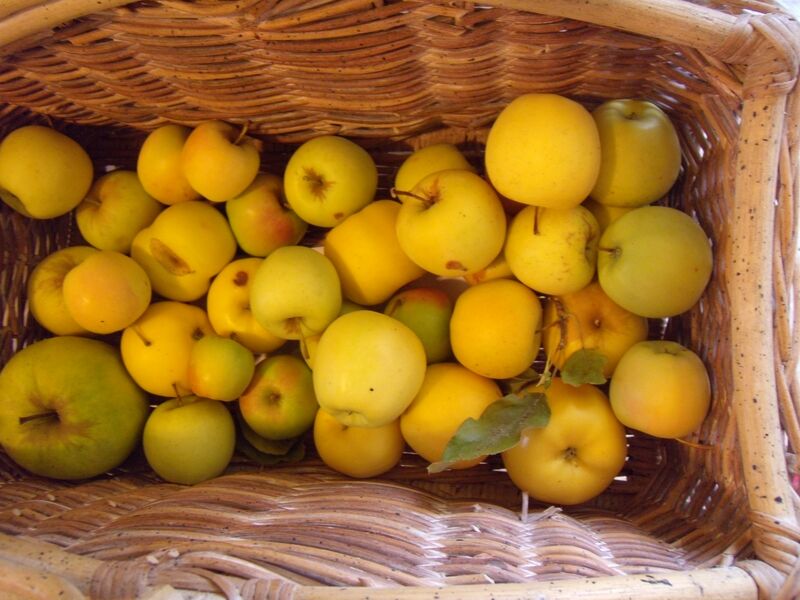 ‘Winterbor’ and ‘Blue Curled Scotch’ are especially good for fresh eating. I also like ‘Nero di Toscano’ (Dinosaur Kale) and ‘Russian Red’. I bought a seed blend called ‘Wild Kale Blend,’ but found it to mildew rather quickly in the greenhouse. Nonetheless, I’m trying it again this year, with the goal of planting it out sooner. We’ve been able to get Dinosaur kale and ‘Blue Curled Scotch’ to grow through the summer for the past few years: we pinch the flowers when it wants to bolt in the hottest parts of summer, but we’ve had cool summers, so it’s performed nicely. Kohlrabi: Kohlrabi used to be my favorite winter vegetable. I was so excited to eat something raw and sweet, rather than steamed or cooked, in the middle of winter. 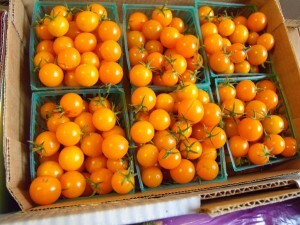 I ate it by itself mostly or used it in salads, and often included it on veggie trays I composed for parties. The one time I did steam it, I was really disappointed by how much character and taste it lost. I’ve stopped growing it, because for the last few years, I didn’t harvest when it was prime: at about 2–3″. I’m not sure there are better varieties than others, but I do think it’s critical to harvest at the right size, so that it’s sweet and tender. 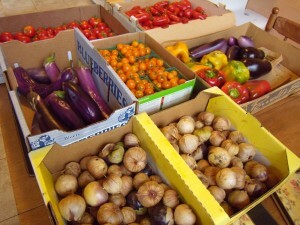 I will say that I prefer the green varieties over the purple varieties. Leeks: We like leeks, but we have a limited reparte when it comes to using them. And we haven’t experimented much with varieties: we grow what we buy as starts, typically ‘King Lear.’ Who knows if these are the best? But I include leeks here because I discovered a few years ago that I could let unharvested ones go to flower and sit in the ground all summer with or without water. 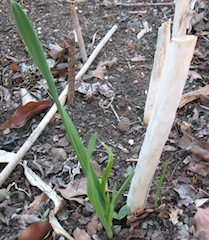 In fall, I cut them to about 6″, and start watering them (if I haven’t been), and presto, they start forming new leeks from the over-summered bulbs. These leeks will eventually reach an excellent size, and apart from the crop rotation question, I don’t see why I shouldn’t keep propagating this way. At one client’s garden, we have been growing leeks like this for 3 years. Leeks re-sprouting after a summer of rest. Lettuce: I like the romaines for overwintering around here, and the Garden Heirloom Blend by Territorial Seed Company is my hands-down favorite. It’s not strictly romaines, but it features several, and for size, tenderness, flavor, and slowness-to-bolt, it cannot be beat. 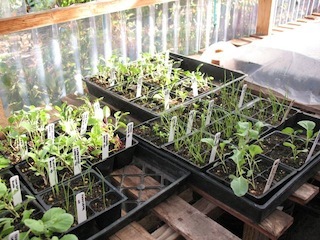 In spring, I am a salad hound, combining lettuce, spinach, Tah-Tsai mustard, kale, and fresh herbs, like cilantro or dill. Mustards: Mustards kind of burn my sinuses, so I like the milder ones. ‘Tah Tsai’ is one of my favorites for its texture, flavor and shape, and it’s pretty much the only one I grow these days. I eat it fresh, and if cooked, a very light braising is what I’d recommend. Otherwise, its character gets a bit lost. I have grown ‘Mizuno’, which I like when young, and we are trying ‘Red Streaks’ this year, so stay tuned. Onions: We’ve been experimenting with storage onions in these parts for the last few years and have landed on ‘Yellow Granex’ and ‘Red Amposta’ as good selections for our climate. This past spring, both cured themselves directly in the beds, without flowering or needing to be knocked back. Both yield a medium-sized onion, which might be due to my propensity toward dense planting. I also like to use them as ‘green onions’ when they’re young, thereby thinning them. When I do this, the occasional ‘Red Amposta’ will achieve a larger size, but the ‘Yellow Granex’ tends to stay in the medium range. For a true green onion or spring onion, my all-time favorite is ‘Purplette.’ It’s great when it’s young: crispy, with a sure, but light, flavor, and these features carry over into spring when I harvest when the bulbs are 1–2″. I love fresh favas, sauteed with ‘Purplette’, tons of garlic, salt, and olive oil. Peas: We love ‘Sugar Snap’ peas. Very traditional, but pretty awesome at any size. ‘Oregon Sugar Pod II’ is a good snow pea variety. We usually plant both. It’s rare for them to make it back to the kitchen once harvested, and Sarah’s mom will tentatively ask if she can pick some, too. I’ve tried shelling peas, but we don’t have enough space to warrant devoting that much for the size of the yield. Besides, I like eating the pods. Spinach: I have settled on ‘Olympia’ as my favorite. It is semi-savoy, with thick, large leaves and full flavor. It also produces for a very long time before bolting in spring, and it withstands our cold spells (20s–30s°F). We also tried ‘Bordeaux’ a few years ago from Sarah’s seed stash. It was pretty and tasty. I’ve grown ‘Bloomsdale’ for clients, which is tasty and also does well around here, but it can be slow during cold spells. For Sarah’s Spinach pesto recipe, click here. The weather can be part of the fun and challenge of winter vegetable gardening, but ‘fun’ is the operative word. Have fun! I haven’t been very good about updating the blog these past few months. 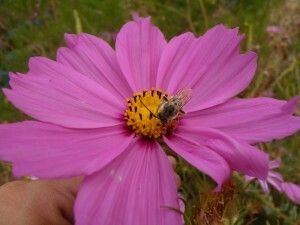 A combination of work and life obligations have limited my gardening time, let alone my time to document our exploits. I started graduate school at the end of August, so I am now officially reallysuperhorriblybusy. Forgive me. I likely won’t post regularly for a while, and my posts will likely be light on text and heavy on pictures. Kelly, bless her heart, is holding down the fort in many ways, including and beyond maintaining the garden. She expressed some interest in blogging, but frankly, she is about as busy and overwhelmed as I am. 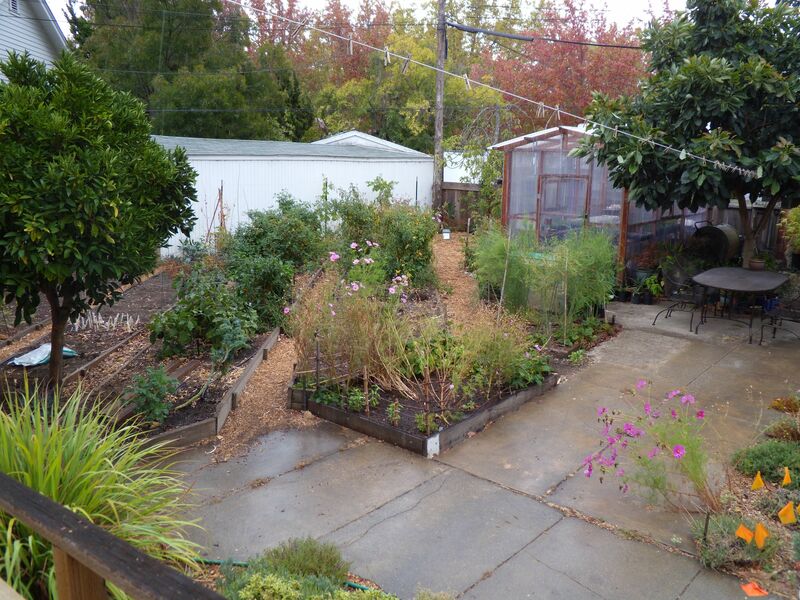 So…stay tuned, and garden on. We will post when we are able. Today is the first rain of the season–earlier than usual and heavier. Under ominous clouds this morning, Kelly and I brought in “the harvest”: ‘New Girl’ tomatoes, ‘San Marzano’ paste tomatoes, ‘Sun Sugar’ cherry tomatoes, ‘Big Red Beauty’ bell peppers, ‘Golden Bell’ peppers, ‘Japanese Long’ eggplants, ”Traviata’ eggplants, and mystery volunteer tomatillos. One picture might have sufficed, but I am so delighted by all the colors that I’ll share several. Happy almost-Fall! We harvested the apples several weeks ago and have been juicing them and eating them raw, but today we began drying the rest. 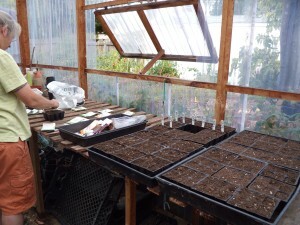 As my busy schedule makes me less available for garden chores, Kelly has taken up the torch and made sure to seed our Winter veggies right on time. Now we just have to plant them promptly.